Eminem is now considered an icon in the world of rap music, but there was one a time when he was just trying to make a name for himself. 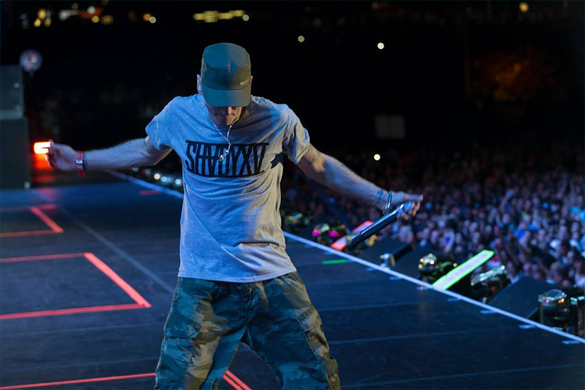 Along the way Em got to meet his heroes, and he recently sat down to talk to LL Cool J for his Rock The Bells Radio show on SiriusXM which is set to air on September 1. 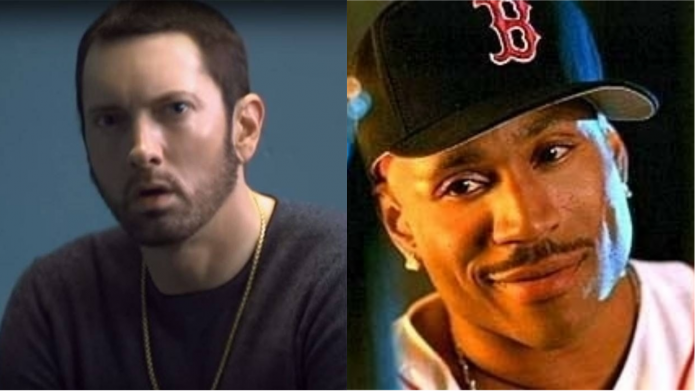 Eminem shared the story of the first time he met LL Cool J in a Foot Locker, and he noted that LL quoted lyrics from one of his songs. Eminem has played quite a few shows throughout the course of his career, but he just took his first on stage selfie a few days ago. During a performance of “Rap God” in London the legendary rapper decided to snap a photo, but it looks like Slim Shady might need to work on his selfie taking skills, just a little bit. Eminem returned with a new album a few months ago, but he still has a lost album that’s been sitting on the shelf for years. 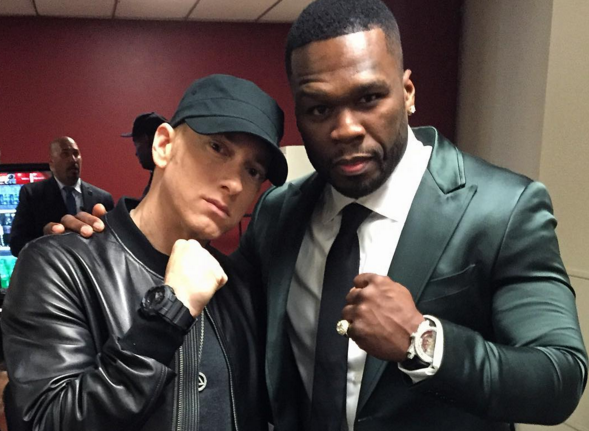 DJ Whoo Kid recently asked 50 Cent if he and Em might collaborate and create a full album together someday, and he said that it’s something that could happen. 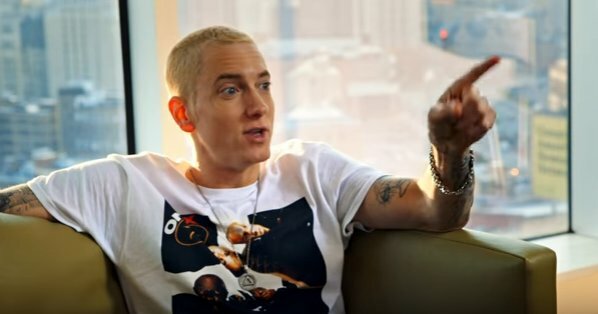 He then went on to say that he and Eminem collaborated on Em’s lost album “Relapse 2” but Em decided not to release the album because of the response “Relapse” got. Celebrated my 10 years yesterday. The post got a positive response from many within the music community, including Royce Da 59 who congratulated Em on a decade of sobriety. 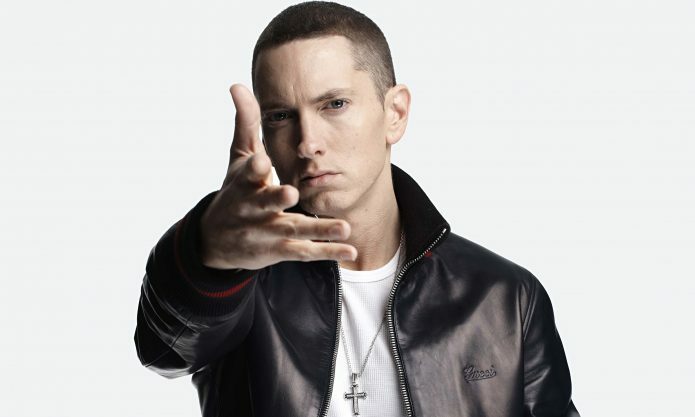 Eminem released his new album “Revival” a few months ago to mixed reactions, and there are some people out there who think the legendary rapper just doesn’t have it anymore. You can check out the clip for yourself below. 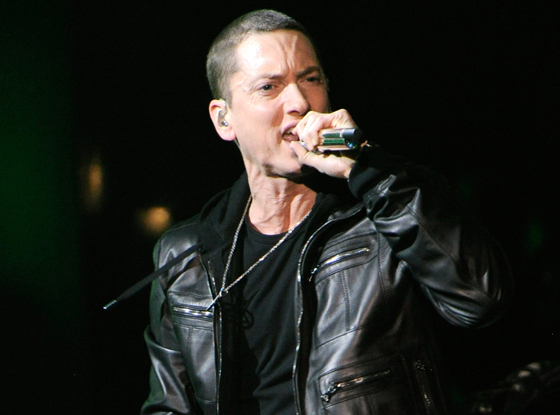 Eminem is no stranger to making history as he’s been selling albums and selling out concerts all over the world for decades now, but he recently crossed a huge milestone. The RIAA has announced that Eminem is now the second highest selling singles artist of all time and he has moved 107.5 million units. 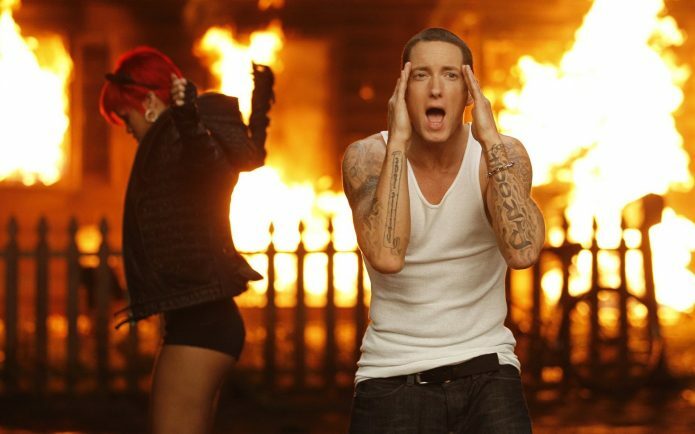 Eminem is second only to Rihanna who is the highest selling singles artist with 121 million units moved. 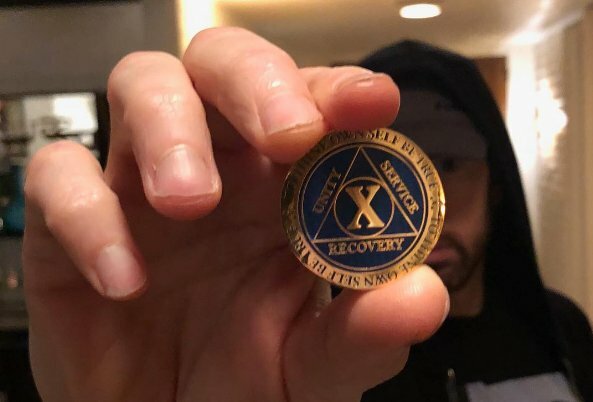 Congratulations to Eminem on this huge accomplishment. Fans who are lonely on Valentine’s Day this year can look forward to a new video from Eminem which is sure to be emotional, as he wished everyone an “Unhappy Valentine’s Day” when he shared a clip from the “River” video. 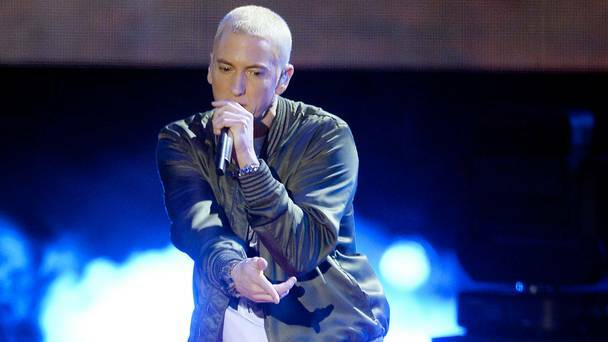 Eminem recently released his new album “Revival” and the album has been met with a mixed response from critics. But Eminem isn’t phased, as he’s always had his critics, and he’s always gotten hate. You can check out the track below. Eminem fans have been waiting a long time for the rapper to release a new album, and it looks like we’ll finally be hearing new music this year. It’s also being reported the Eminem is set to appear on the new P!nk track “Revenge” which is set to be released on 10/13. 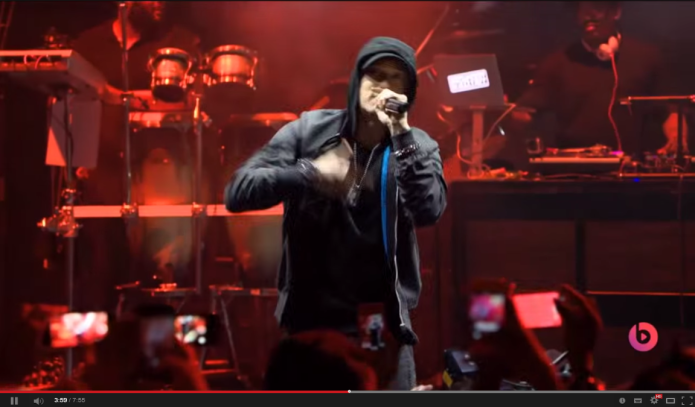 Em’s last album “The Marshall Mathers LP 2” was released in 2013.